With threats of expulsion looming, Assange’s lawyer makes a smart move and asks if it can even happen. 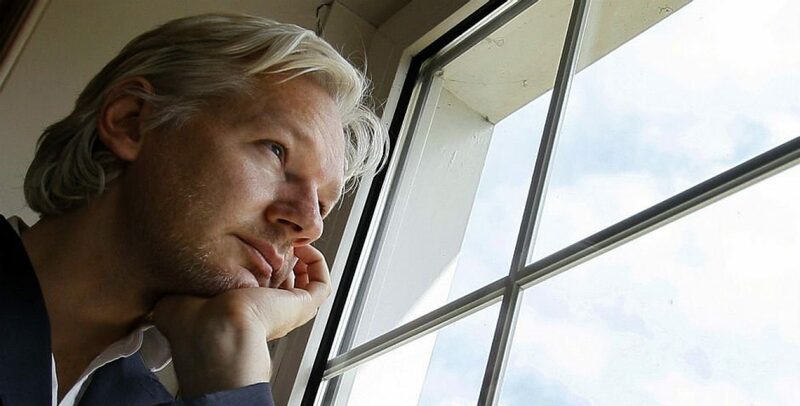 The defense of Julian Assange in Ecuador submitted an order to the Foreign Ministry this Friday to certify if there is any procedure to review or terminate the asylum of Assange, and ask that the answer be sent to Balthazar Garzon. (Balthazar Garzon is Assange’s Ecuadorian lawyer). The foreign minister of Ecuador today tweeted about mechanisms for unilaterally revoking asylum claims. Interesting due to the threats to Assange’s refugee status. In light of rumors that Assange is about to be expelled this is terrifying to those who care about him most. This came about due to President Moreno feeling humiliated that his crimes have been brought to light in the INA papers. Wikileaks simply tweeted the link to the papers. Either to deter light on his crimes, out of pure vengeance or by being coerced by the US, in a radio interview President #Moreno falsely claims that #Assange has been hacking private phones and speaking on political matters which he is banned from doing. Legally, by the Ecuadorian Constitution, Assange cannot be extradited. But Moreno says that Assange has violated an “agreement” which Assange never consented to. If Moreno acts in this way, he will not be remembered well in history. In fact, due to his corruption he may very well be remembered as the man who tortured the greatest journalist of our time. By expelling Assange, he would most likely be signing his death certificate. The US is pursuing charges against Assange under the outdated Espionage Act which may mean a death sentence for tjis award winning, Nobel Peace Nominee. Once in the hands of the United States government, Assange would most likely disappear. This is would be a catastrophe to #FreePress and #FreeSpeech as we know it. It would unfurl the end of truthful journalism and would begin the inevitable journey towards the world described in 1984. This would open the doir to the “Thought “Police”. A world where you could be thrown in jail for publishing an opinion not in line with our governments propaganda. Assange is being unjustly treated, psychologically tortured and is under threat of expulsion and extradition in the heart of London. Being literally held prisoner for publishing the truth that the people would not be ignorant in the heart of London. No this isn’t a third world country , it is under the noses of a Parliament who claims to support free press. This will be known in history as the “Great Assange Tragedy” if we let them take him!We must fight now!